iPhone is the beauty which Apple has given to the World. Many around the world like me the true fan of the device and uses for the years. But many of us use our iPhone partially and leaving much of the features unused. Today in this article we are going to talk about five such features which can help you get maximum out of your device. 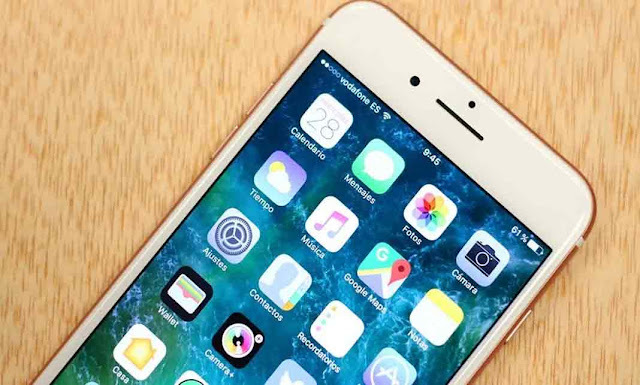 First up on our list of iPhone tips and tricks will definitely come in handy. Buried deep within your iPhone's Settings is a nifty little feature to help you zoom in on your screen. This is usually disabled by default and we doubt you've been told about it. Once activated you can double tap the screen with three fingers to zoom in. If you also activate the Zoom and Show Controller option you'll get a handy little pan tool to help navigate around your zoomed in the screen. To activate these features, go to Settings > General > Accessibility > Zoom. This is definitely an example of iPhone tips and tricks we were not aware of. Did you know your iPhone has a handy in-built spirit level? Now you can use your iPhone to help you level that shelf your partner has been bugging you to put up for years. Instead of downloading yet another app just use iOS's built-in function. You'll find it by opening the standard Compass app and swiping left to reveal the spirit level! Very handy indeed. But it doesn't end there. You can orientate the phone edge or by lying flat to provide different spirit level displays. You might have already figured this one out but this example of iPhone tips and tricks is pretty handy. If your phone is buried in your bag you can, nonetheless, figure out who is calling you with this tip. Go to Contacts, select a friend or family member and tap edit. From here select Ringtone and tap on the word default. From here you can assign them their own ringtone or indeed set your phone to vibrate. This nifty setting will let you easily and quickly personalize how your phone reacts to a particular contact. Just make sure you remember which ones you've assigned or you might not realize it is your phone ringing! Of course, generally speaking, your photos are private so long as you control who has access to your phone. But what about those times you want to show off your holiday snaps but don't your friends and family to see certain images? This great example of iPhone tips and tricks will save you some embarrassment. To do this head over to your Photos App. Select the pictures you want to hide, tap Share (the small square with an up arrow) and then select Hide. You'll then be able to access these photos in you hidden folder within Albums. This is a great example of iPhone tips and tricks. Why not start up your favorite playlist that turns itself off automatically after a set period of time? This'll be perfect for those who like to fall to sleep using music. To do this go to the Clock app and press Timer. Now tap the "When Timer Ends" button and choose "Stop Playing". You can now set the timer for the desired length of time and then start playing your tunes.